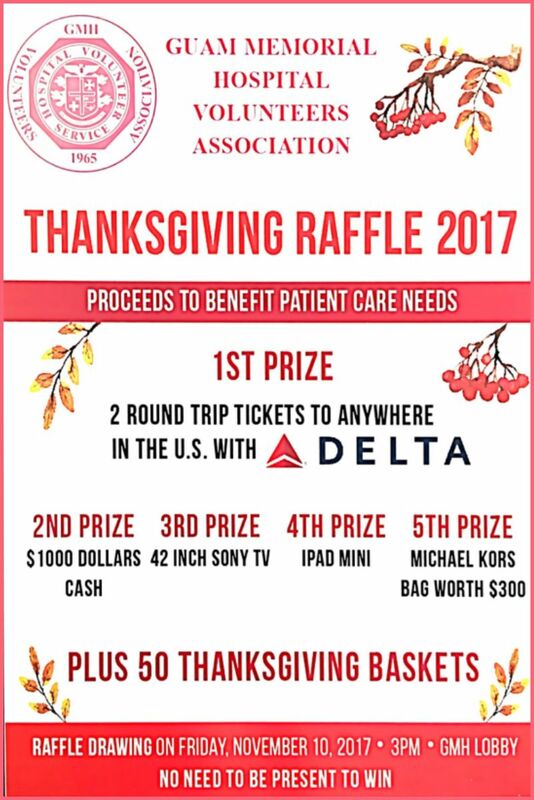 Thanksgiving Raffle 2017 Tickets are $5 each. Proceeds to benefit GMH patient care needs. 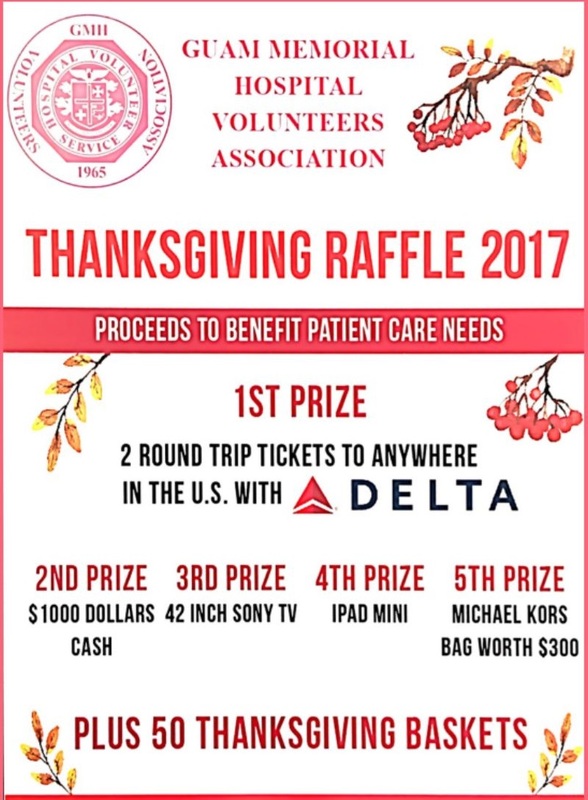 Raffles drawing will be on November 13, 2017, 3 pm at the GMH lobby. You do not need to be present, to win.